Four-star, downtown heritage home, one-, two- and three-bedroom suites and rooms. 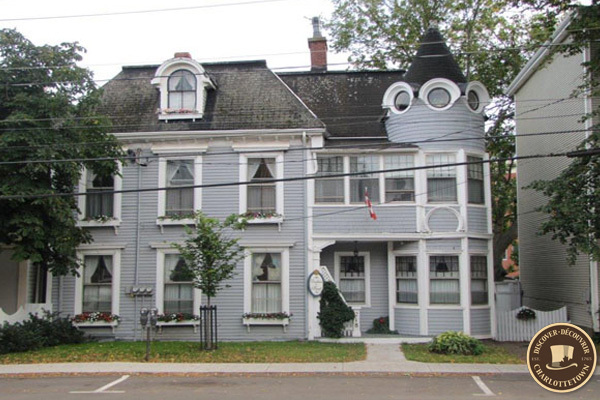 1875 designated restored heritage home featuring three-storey “turret” corner with antiques. In historic downtown Charlottetown. 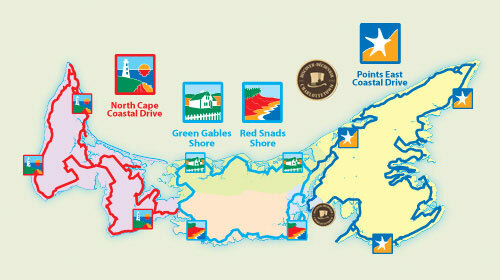 Confederation Centre, theatre, Province House, Victoria Park, waterfront, Confederation Trail, restaurants, museums, shopping, short walk. No smoking. No pets. One-, two- and three-bedroom “turret” suites; one spacious guest room (two beds). All have private bath, air conditioning, telephone, cable TV, high-speed wireless internet. Separate guest kitchen, living room. VCR/DVD, movies, bicycle storage available. Complimentary tea, coffee, hot chocolate. Breakfast on request, extra. Dec-Apr by advance reservation only.